Located in the Puerto Rico region, San Juan is a town and its area, population and various key information is listed below. For all your administrative procedures, you can go to the city hall San Juan at the address and times indicated on this page or contact the town hall’s reception by phone or by email depending on your preference or the information available. San Juan satellite image: San Juan town from the sky! 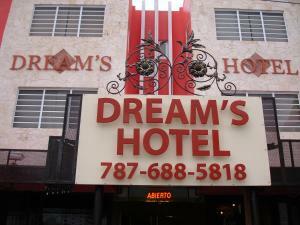 Just 200 metres from the University of Puerto Rico in central San Juan, Dreams Hotel Puerto Rico offers modern air-conditioned rooms with cable TV. The hotel features a free Wi-Fi zone and free continental breakfast. Guaynabo Villa is located in Guaynabo, 12 minutes’ drive from El Moro and from Old San Juan. Free Wi-Fi access is available in all areas of this holiday home. The house will provide you with a TV, air conditioning and a patio. 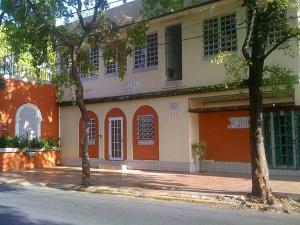 This hotel is located in San Juan’s Arts and Culture District of Santurce on Ponce de Leon Avenue. It offers a 24-hour reception and air-conditioned rooms with free Wi-Fi, cable TV and a private bathroom. 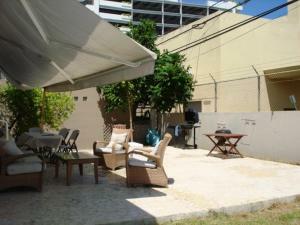 Located 200 meters from Condado Beach, this San Juan hotel features La Fonda de Cervantes restaurant. Brightly colored guest rooms include free Wi-Fi and a flat-screen cable TV.